We are delighted to announce the publication of the fifth and final book in Lyda Morehouse’s AngeLINK series. 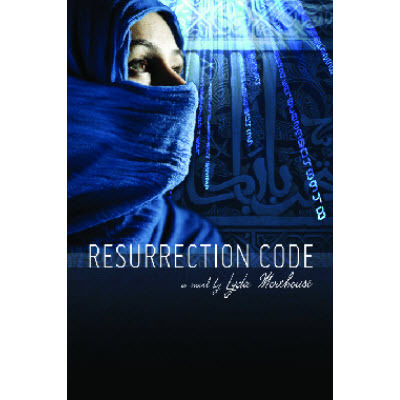 Resurrection Code tells the story of how Christian El-Aref, a street kid from Cairo, grew up to become the world’s most wanted cyber-criminal. You can read Lyda’s thoughts about the book in her Big Idea post at John Scalzi’s Whatever blog. Then check out this stunning review of the series at Tor.com. You want them all. You really do. The prequel to the the AngeLINK series. Read Lyda’s thoughts about the book at John Scalzi’s Whatever.